You’ll have full access to your account for unexpected health care costs, namely qualifying home health or nursing home care, or in the event of terminal illness. 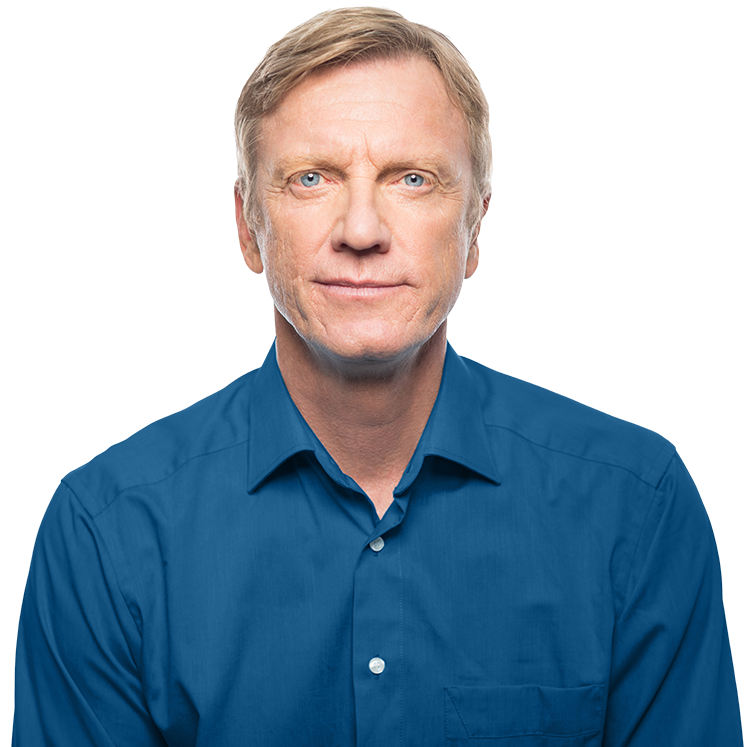 This benefit applies to conditions that arise one year or more after the contract begins. From day one you have a death benefit for peace of mind. You may withdraw your money at any time. Withdrawals in year one, or withdrawals in year 2 or later of over 10% of your account value, will incur withdrawal charges. Subject to state availability. Certain restrictions may apply. Contracts issued by Fidelity & Guaranty Life Insurance Company, Des Moines, IA. Fidelity & Guaranty Life Insurance Company offers a diverse portfolio of fixed and indexed interest annuities and optional additional features. Before purchasing, consider your financial situation and alternatives available to you. Your Fidelity & Guaranty Life Insurance Company financial professional can help you determine the alternatives for your goals and needs. The "S&P 500 Index" is a product of S&P Dow Jones Indices LLC, a division of S&P Global, or its affiliates (“SPDJI”) and has been licensed for use by Fidelity & Guaranty Life Insurance Company. Standard & Poor’s® and S&P® are registered trademarks of Standard & Poor’s Financial Services LLC, a division of S&P Global (“S&P”); Dow Jones® is a registered trademark of Dow Jones Trademark Holdings LLC (“Dow Jones”); These trademarks have been licensed for use by SPDJI and sublicensed for certain purposes by Fidelity & Guaranty Life Insurance Company. These Annuity products are not sponsored, endorsed, sold or promoted by SPDJI, Dow Jones, S&P, their respective affiliates, and none of such parties make any representation regarding the advisability of investing in such product(s) nor do they have any liability for any errors, omissions, or interruptions of the S&P 500 Index. 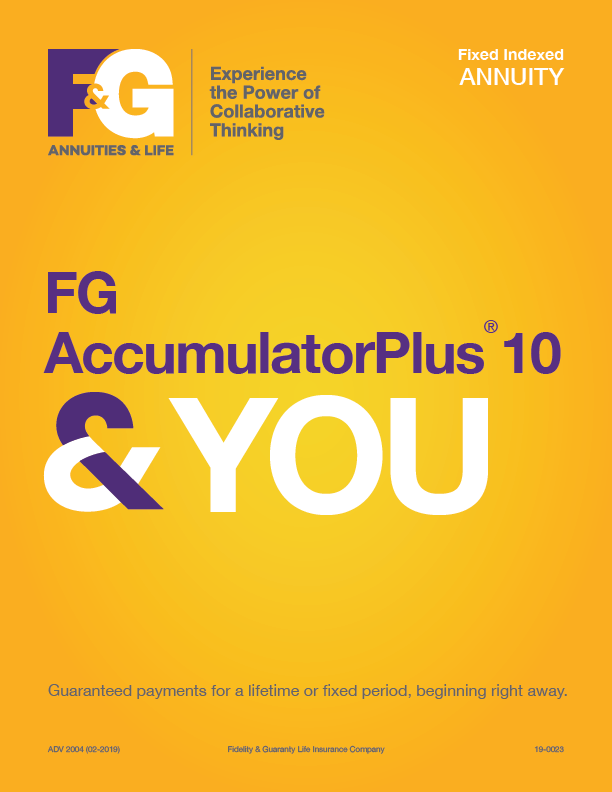 Download our product brochures to learn more about FG AccumulatorPlus series.